Every Nirvana fan knows how much Kurt loved his pawnshop prizes. 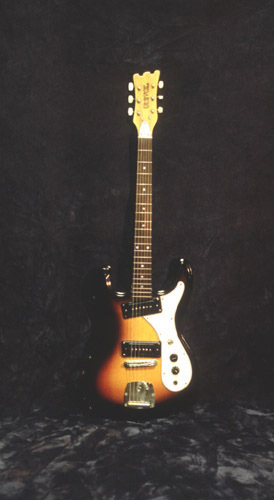 But the cheap Mosrite copy made by the now extinct Univox was certainly one of his favourites. 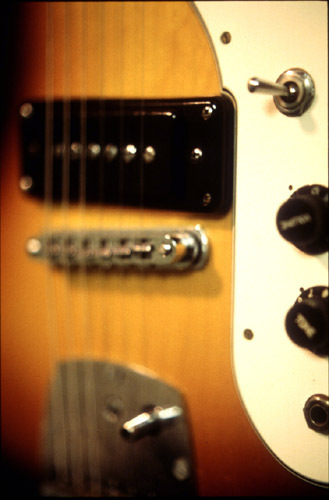 From the moment I saw a Univox in Kurt's hands, they fascinated me and I wanted to find more pic's of them and more info on them. 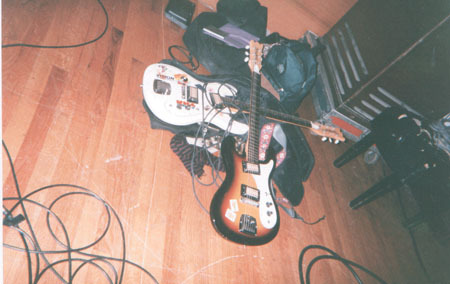 But it is so hard to find good pics of these guitars. That's why I have collected a bunch of them and have choosen to display them in this section of my page. The reason is because I know that I am not the only Nirvana fan who is fascinated with these guitars. Since these pictures aren't really mine, I would like to thank Tim Patton who has a wonderful page chalk full of info and pics on Univox. I would also like to credit Rick Castronova* for taking some of these pictures and scanning them. 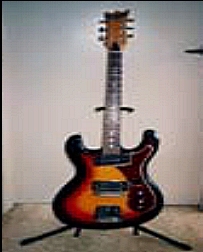 If you have any pictures of a Univox Mosrite Copy (or hi-flier) then please email me. Soon you will be able to click these pics and seem them in a larger size. So now you want to know where you can get these lovely guitars, don't ya? *Unfortunatly I do not have Rick's email address to get OFFICIAL permission directly from him to use his pictures on my site, but I credited him the best I could. If anyone knows his email address please email me so I can email him. Thanks.